Os grid reference: SD 87943 34622. The holy well/spring can be reached by following the Worsthorne road south from Haggate to Cockden Bridge over the River Don, then following the footpath due east beside the river for about a quarter of a mile. At the Ormroyd footbridge where the River Don becomes Thursden brook head in a north-easterly direction up the hillside. The well, or what's left of it, can be found beside a trackway. Around twenty-five years ago Calf Hey Well was described as being a square-shaped structure made of five stone slabs, one of which makes the roof. The water, which most probably had some form of mineral content, bubbles up into the large square basin which is a little lower than ground level. Today, the well is still there but I don't know in what condition it is. According to Clifford Byrne in his book 'The Holy Wells and Mineral Springs of N.E.Lancashire' "Calf Hey Well is a strong spring which rises out of the hillside, but in medieval times it was believed that the waters here had special qualities. Some people thought it was a holy well and reputedly many people visited Calf Hey on holy days when jugs of water were sold. A few accounts state that stalls were set up on a flat piece of land to the west of the well. Here vendors not only sold water but other things (food, religious objects and trinkets) and a market atmosphere must have pervaded the site". In 1819 the local water company took over the well and began to use its supply of water for the ever growing population of Burnley, a few miles west of here. After this the fairie people were never seen again at the well - they were probably feeling very indignant at what had transpired. Folklore has played its part here too. Fairies are said to have inhabited the well in days gone by - indeed they were often seen dancing around the well in the moonlight. These fairies or "little people" were not just creatures of the night which our ancestors delighted in when they could catch a rare glimpse of them. In fact these little people were quite normally formed - although small in stature. Though not human they had the capacity to intervene in our human affairs - usually, but not always, for the good of it. They were known to steal little children and babies, supplanting them with their own offspring. So the parents of newly born babies had to be very vigilant and get their babies baptised as quickly as possible. There are a few lesser-known wells in the same area as Calf Hey. These include The Jam Well at Worsthorne, Sweet Well at Holden Clough and Robin Hood's Well at Black Clough, Thursden. Byrne, Clifford., The Holy Wells and Mineral Springs of N.E.Lancashire, a copy in Nelson Public Library (Reference). Frost, Roger., A Lancashire Township - The History of Briercliffe-with-Extwistle, The Rieve Edge Press, Briercliffe, 1982. 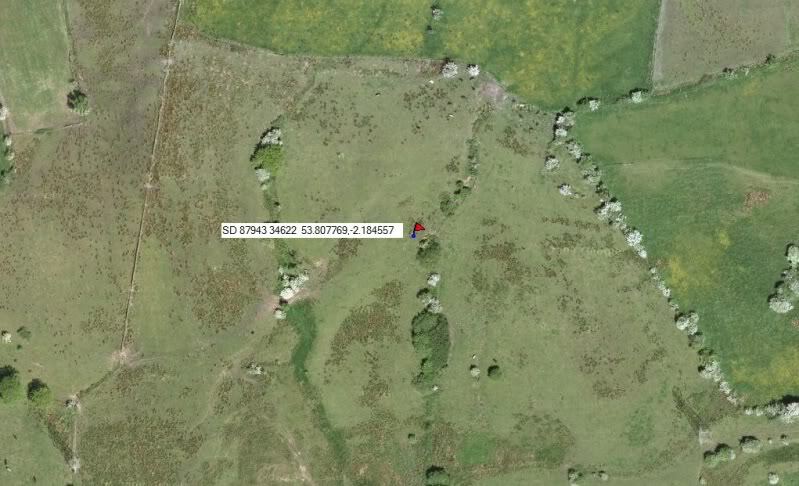 Sunbright57 wrote: Os grid reference roughly SD.8795 3456. If you went via Catlow it's not 3 miles from you, how about a field report ? Roughly because I'm not quite sure, so thereabouts I would say. But you have pinpointed the well. Thanks. What's a Romer ? Gps, perhaps ? Sunbright57 wrote: Roughly because I'm not quite sure, so thereabouts I would say. But you have pinpointed the well. Thanks. What's a Romer ? Gps, perhaps ? I included a link why not click it ? Okay Danny, I have ordered a Romer. Should arrive in a few days time. Let's see if I can get these co-ordinates right. Nice to see you on Megalithic Portal. Awr looks complicated. Hope it has some instructions ! Sunbright57 wrote: Awr looks complicated. Hope it has some instructions ! 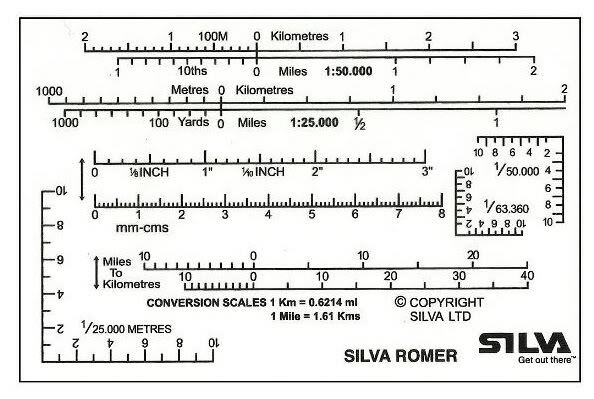 It's a clear piece of plastic to place over a map to get accurate grid references. Don't worry i'll work it out its not "rocket science". Unlike you Danny, I didn't have much of an education at the special school I attended. It wasn't meant for education, just to keep kids in some form of schooling. 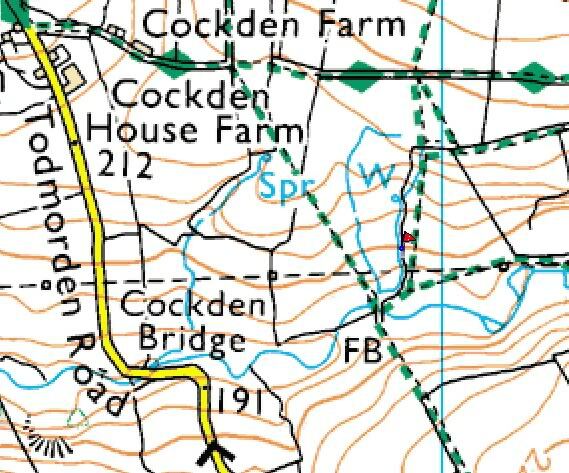 Terrible place though - it wrecked my early years.